The CHC-operated S-92 aircraft on the West Franklin platform. The picture shows the nose of the aircraft sitting out over the yellow landing circle. Last week’s report from the Air Accidents Branch of the Department of Transport has raised fresh questions for the oil and gas industry in the North Sea and demonstrated double standards by the trade union Unite. On 28 December 2016, just as a Sikorsky S92 was approaching the West Franklin Platform, a failure in the tail rotor pitch servo bearing (TRPCS) caused the complete loss of its yaw control while in the air. The pilots managed to achieve a hard landing, fortunately without casualties, but even then it spun a full 180 degrees to the edge of the helipad. The investigation determined that, “the TRPCS bearing had degraded and failed. As a consequence, the tail rotor pitch change servo was damaged resulting in uncommanded and uncontrolled inputs being made to the tail rotor.” The report confirmed the bearing’s failure was for “an undetermined reason” and poor monitoring of routine maintenance had let the failure go unreported. Had the loss of yaw control happened earlier the report stated, “the helicopter would most likely have made an uncontrolled descent into the North Sea” with its nine passengers and two crew. Sikorsky has now made engineered design changes and it is continues to fly. This solution follows a similar problem faced by the Airbus Super Puma H225 and 332 Mk2 when their common gearboxes required an engineering upgrade, following fatal accidents that led enquiries by both the Norwegian and UK authorities to identify a metal fatigue failure. 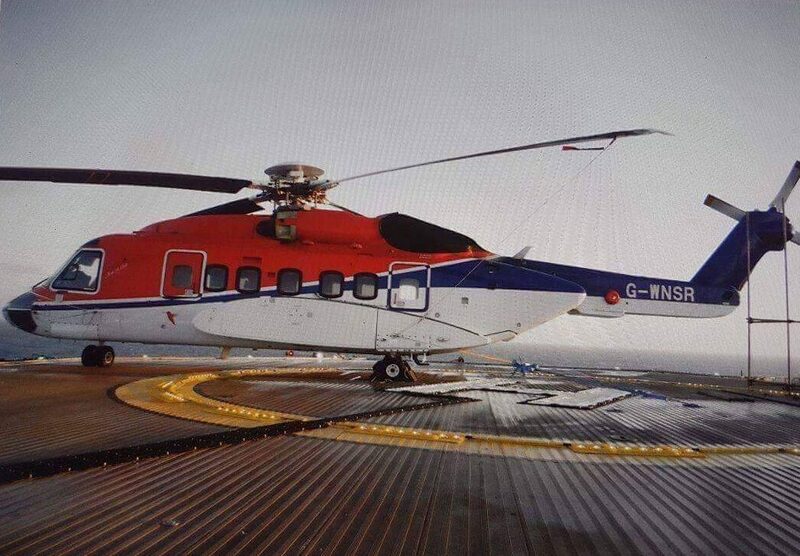 The problem for the oil industry is that while its is able to use the Sikorsky S92 to ferry workers to the platforms the Super Pumas have not yet taken to the air despite being cleared to fly by the Civil Aviation Authorities last July. With only one aircraft type currently available there is a risk that any further accidents involving the Sikorsky S92 will result in it being grounded indefinitely and there being no aircraft to ensure the workforce can change their shifts with the regularity required. Transporting workers to platforms by sea would become a costly and unsafe logistical nightmare. The oil and gas industry needs the Super Puma to be available to fly again but operators are faced by a belligerent campaign by the trade union Unite that has threatened a strike if the Super Puma is re-introduced. Unite has not raised the same objections to the Sikorsky being back in the air, begging the question, why? For over a decade the Super Puma was the workhorse of the North Sea in taking employees back and forward to rigs. In 2016, however, the Super Puma was grounded after a crash that cost all thirteen lives off the coast of Norway. This was after a similar crash at Peterhead claimed the lives of all sixteen passengers and crew in 2009. The resulting extensive research employed by Airbus Helicopters established a cog in the commonly used gearbox had sheared. Airbus responded by introducing a number of improvements designed to address fatigue failure and provide increased reliability. These included replacement by a more resistant type of the part that failed in the gearbox; a significant reduction in its permitted life limit from 4,000 to 1,000 flight hours; and introducing an improved anti-spalling system to detect particles in the gearbox oil, together with a strengthened inspection criteria and equipment allowing a more detailed analysis of particles. Subsequently, both the UK and Norwegian CAAs gave the Super Puma H225 and AS332 Mk2s airworthiness certificates and clearance to return to passenger duties in July last year. These vital improvements are being introduced to each aircraft so they can come back into service – but despite a UK Civil Aviation airworthiness certificate being issued Unite has decided it knows better than the aviation experts. By comparison the Sikorsky S92, which has not been without its problems elsewhere – with various groundings internationally following accidents, some fatal – has not received the same opposition. If the precautionary principle was to be followed both aircraft would not be flying, but they both have airworthiness certificates so why should Unite choose one aircraft over the other after the S92’s accident? Unite’s position is as extreme as it is isolated, with other Norwegian and British unions, such as RMT, accepting the civil aviation authorities should determine airworthiness and safety – not a union official. With less than 10% of the offshore workforce unionised Unite is putting the jobs of other union members and the other 90% of workers at risk by seeking to block use of the Super Puma. The attitude of Unite is at odds with creating and sustaining jobs for its members. While safety must be paramount, the aircraft has now been cleared for flight by the experts in aviation safety. Worldwide some 157 H225 and AS332 Super Pumas continue to fly, used by countries from France to Brazil, US to Saudi, Japan and China. German Chancellor Angela Merkel uses a Super Puma in her personal flight and fifty new Super Pumas were sold by Airbus last year. Only in the UK do 24 Super Pumas wait to re-enter passenger service despite the changes to their equipment and servicing. Notably the Super Puma pilots, who fly in the aircraft more often than anyone, wish to take to the air. Everyone – the crews, passengers, operators, and employers are now being held to ransom by one union as if it knows better than anyone and speaks for everyone. With the Air Accident Branch report into the failure of the Sikorsky S92 tail rotor servo bearing now public it is time for Unite to recognise both it and the Super Puma are fit to fly and should now join with others across industry in restoring the confidence of everyone who needs to fly in both of them.